This series sounds so good! er..Squeeeee! I loved If I Stay so I can't wait to read this one. I need to read the first one in this series - they sound amazing! I love the cover for this one - and it sounds awesome! I read an extract of this one on the author's website and can't wait to read the rest. I hadn't heard of this one before but it sounds really good. I'm reading this as part of the contempts challenge - and have already heard some great things about it. I loved iBoy and am really looking forward to reading more. I love the sound of this one:) It looks like it could be great fun. Lucas is my favourite of Kevin Brooks' novels and I'm beyond jealous of Where She Went. I hope it waiting for me at home! 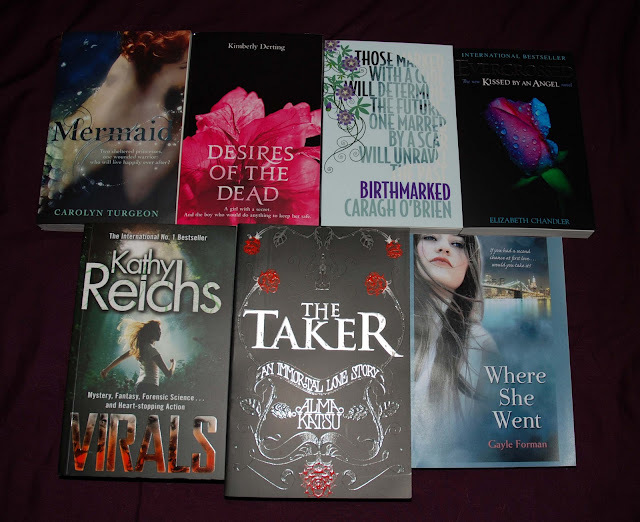 You got some seriously good books this week! I have been really interested in reading Virals so I look forward to seeing what you think about it! Incredible books this week. I really enjoyed Desires of the Dead- I hope you like it as well. I also want to read Rival, so I'll keep my eye out for your review. Enjoy all your books! Mermaid's cover looks AMAZING. Great books this week! I'll be interested to see how you get on with Virals. I was tempted to accept the review request on that one but I didn't want to worry about yet another deadline. If you enjoy it, I'll just buy a copy. That way I am free to read it whenever. Great books! Where She Went! Ah!! 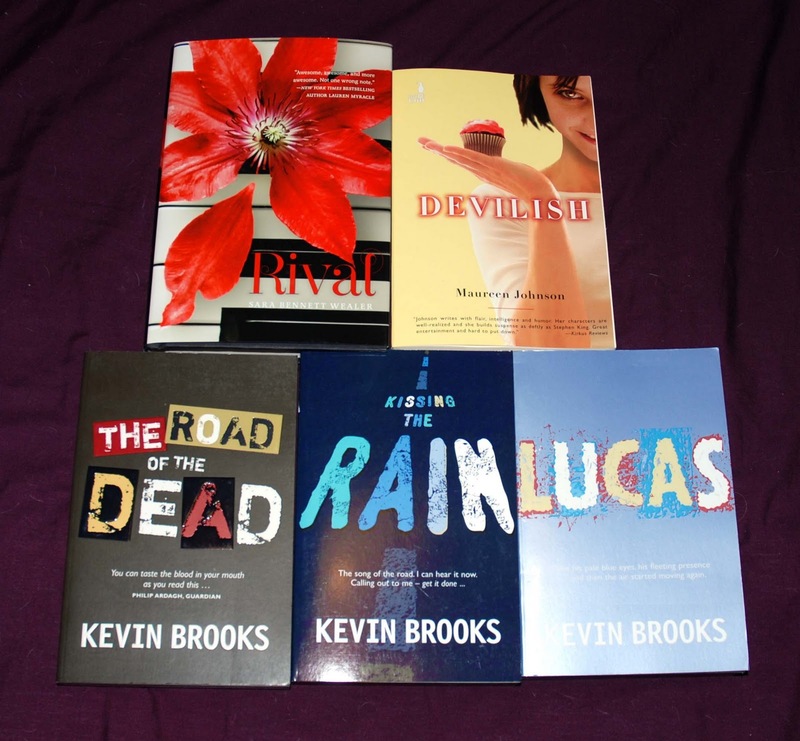 Ooh, lots of Kevin Brooks love, see! He's an amazing author! Brilliant week! I am soo jealous! Can't wait to see what you think of Where She Went and Virals: I really want to read them! I'm very envious of everyone that got Mermaid this week. Can't wait to read it! Oh my goodness, these books all look fantastic. I'm going to have to go and check them all out! ab books this week. Hope you enjoy them! You can see what I got in my mailbox here.